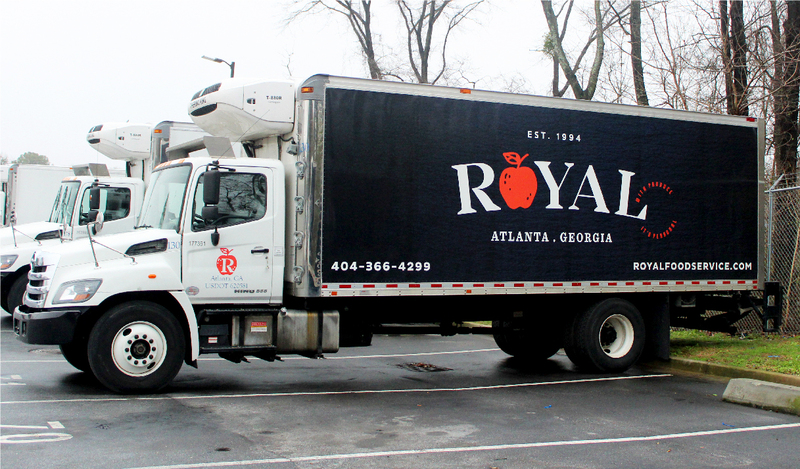 Royal Food Service is a family-owned, $200 million fresh food distributor in the Southeast. 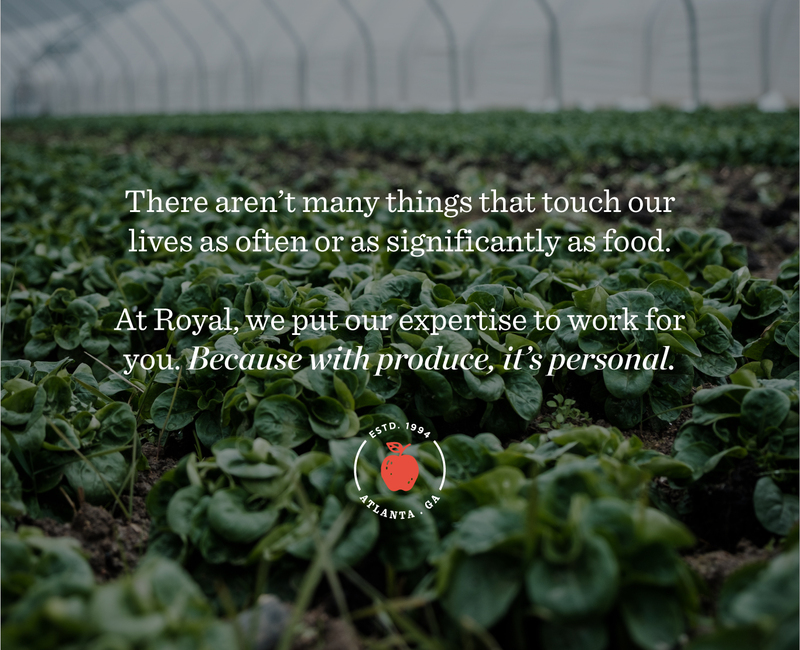 Founded in 1994, Royal prides itself on its ability to not only deliver organic, locally sourced produce to its customers, but also to extend its familial relationships to its clients, farmers, and the community. But the company had difficulty articulating its brand narrative. As the company grew and the market became more competitive, the brand had become to be perceived as just another “big box” provider, and found it difficult to articulate their brand narrative. Fortunately, Royal has a wonderful story to tell, from its local partnerships, to the quality of the products and service, and they chose Phase 3 to conduct a rebrand of the organization and help reposition them in the marketplace. As the company grew and the market became more competitive, the brand had become to be perceived as just another big box provider, and found it difficult to articulate their brand narrative. 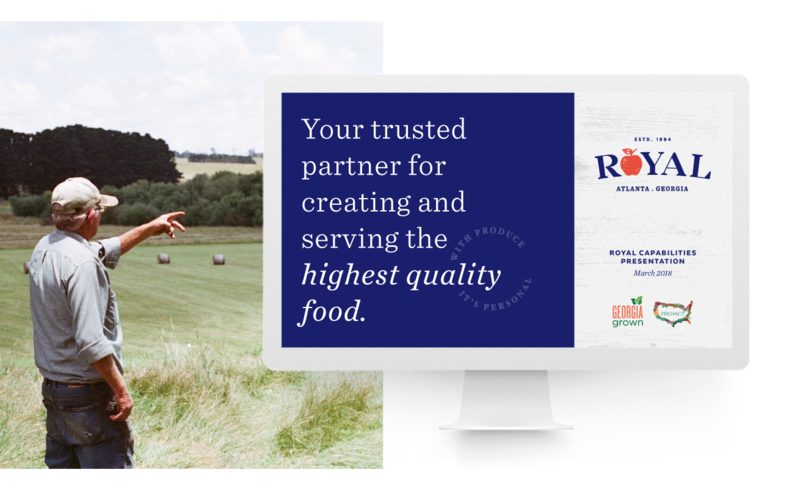 We developed a new brand position and narrative that reflects how Royal has grown to rival national suppliers while remaining true to its roots. We worked to gain strategic insights of the market situation and the needs of the customers, allowing the agency to position Royal for long-term success. Our project team accompanied Royal’s truck drivers throughout their daily shifts, allowing us to connect with Royal employees while observing their direct interaction with customers. We then conducted 25 qualitative in-depth interviews, not just with Royal organizational leadership, but also with the customer segments as well including local chefs, schools, and corporate customers. The research insights showed that customers looked to Royal to provide specialized expertise, and that the company’s community focus was important to customers as well. These audience insights showcased a wide range of desires among Royal’s target customers that would yield strong direction for communications, and for telling the Royal brand story in a new and compelling way. We are very excited and believe the new brand is a great representation of who we are. There have been a lot of positive changes around the company, and employees are showing real commitment to the new message. We conducted 25 qualitative interviews that yielded actionable insights. We joined Royal's delivery personnel for a full day of ride-along observation. 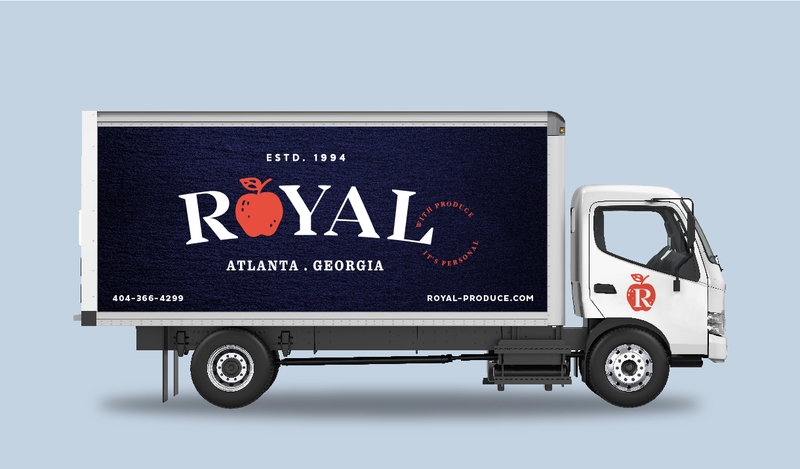 The new Royal brand was an American Marketing Award finalist for visual branding and identity. 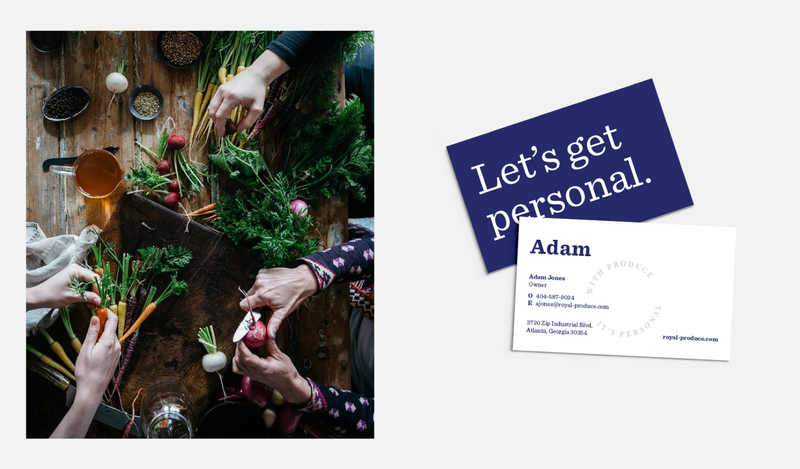 Building on those critical insights, we developed a new brand position centered around the theme With Produce, It’s Personal, a narrative that reflects how Royal has grown to rival national suppliers while remaining true to its values and relationships. 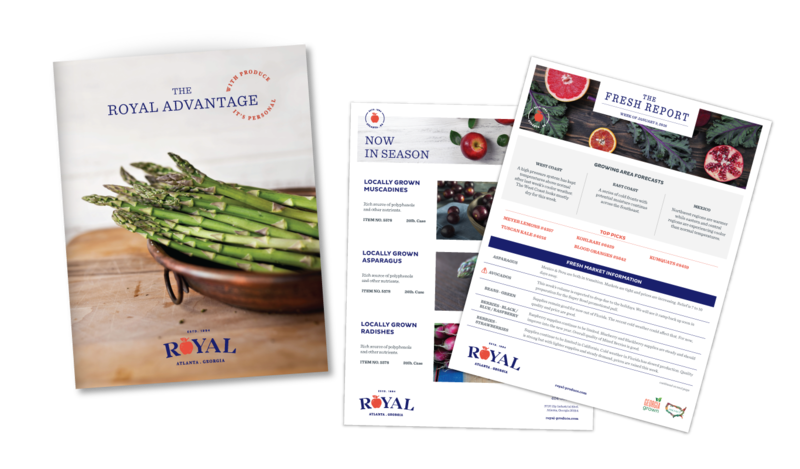 Next, we evolved Royal’s brand identity while ensuring a trusted, timeless visual appeal. The new logo can be easily executed across a range of subsidiaries, including new acquisitions or subsidiaries, and the FreshSense sub-brand has now been rebranded to Royal Fresh Cuts in order to reduce brand confusion and unleash synergies. We then planned and organized a brand rollout for Royal’s logo unveiling, including an appreciation festival for its internal audience. External audiences then saw newly branded trucks appear all over the Southeast, followed by a conversion of all traditional and digital marketing pieces to the new expression.